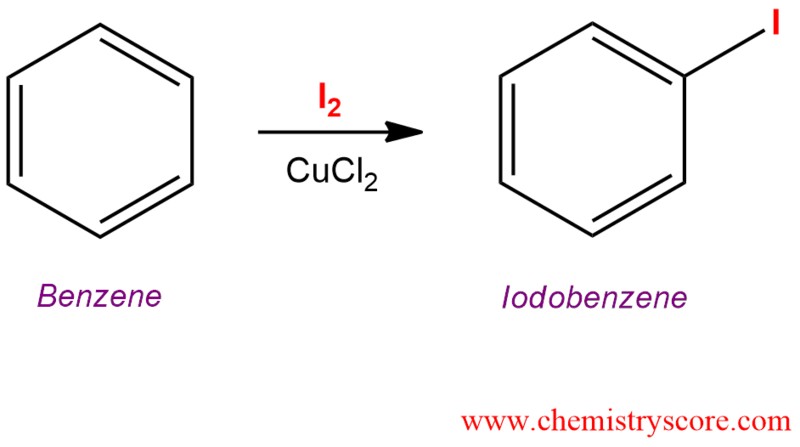 Treatment of an aromatic such as benzene with iodine (I2) and copper (II) leads to the formation of the iodinated benzene by electrophilic aromatic substitution. And then benzene makes a nucleophilic attack to electrophilic iodine to form sigma complex, or arenium ion, which is resonance stabilized. This cationic intermediate is temporary charged-delocalized which is but with subsequent fast deprotonation regenerates the (now substituted) aromatic ring.